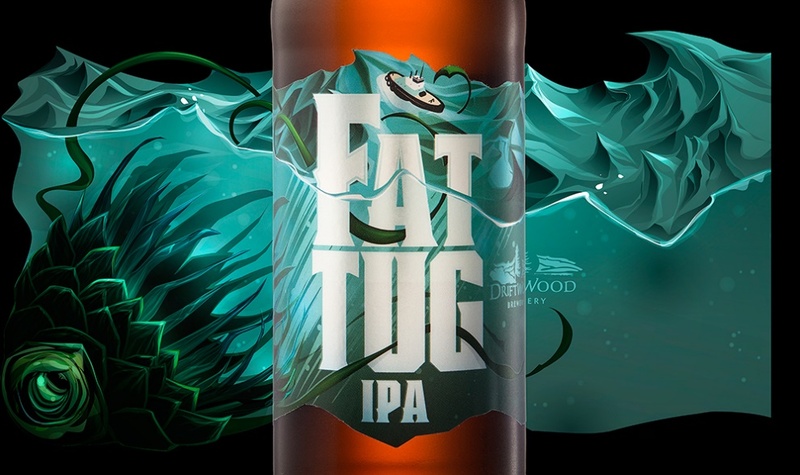 Spotlight: Driftwood Fat Tug | What's Brewing? This was an inspired beer. This was a beer of depth and majesty. A beer that stood out amongst the crowd, whose quality shone brighter than the sun on Bayshore Boulevard in mid-August. So, perhaps that’s a touch of hyperbole, but trust me that this beer was good enough to stand out in my memory, even amongst the thousands of beers I’ve tried since. Being that I live 3,100 miles from Vancouver, I had resigned myself to the belief that I may never get to drink that delightful brew again. Imagine my delight when I saw the beer hit distribution right here in Florida! Driftwood Fat Tug displays a beautiful fruity bouquet of grapefruit, melon, mango, passion fruit and orange zest. It has a supportive malt backbone, whose sugars help provide the 7% ABV. Clicking in at more than 80 IBUs, it provides the bitterness to which all hop-heads will gravitate. A remarkable beer. It’s an IPA that will stand out from the rest of the hoppy brews on any draft wall.Â Itâ€™s certainly something that I will be ordering upon my next visit to any bar that has it on.